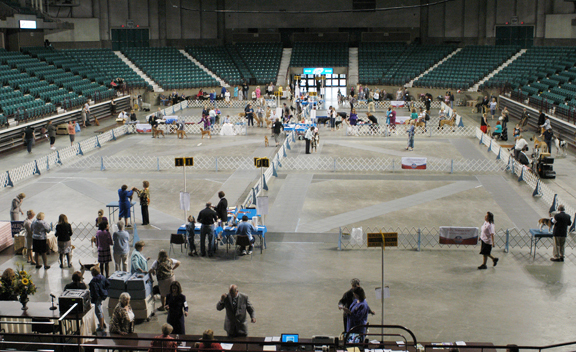 Location of the 2012 Sunflower Kennel Club of Olathe, KS all-breed conformation dog show and obedience trial. Sunflower Kennel Club of Olathe, Kansas holds it’s All Breed Conformation Shows & Obedience Trials at the outstanding facility, the Kansas Expocenter in Topeka. 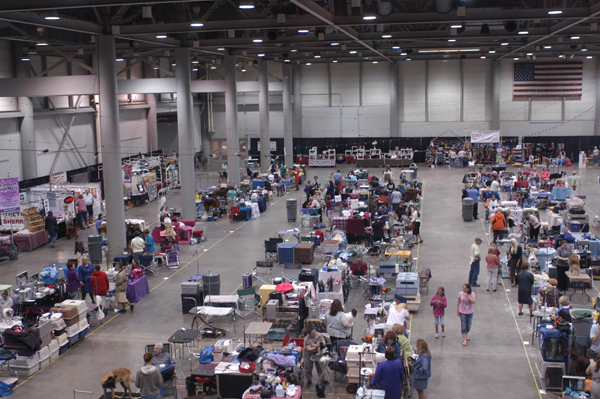 The Kansas Expocenter offers a spacious climate controlled all-indoor venue with lots of free parking, RV spaces with hookups, grooming with electricity, and a beautiful onsite hotel (with a link to the Expocenter). Our May dates usually offer lovely sunny and cool spring weather, making the show comfortable for both dogs and exhibitors. Please contact our Web Master through this blog if you have any questions about being a Vendor or holding a Specialty in conjunction with our shows. Roomy grooming and vendor area.